Allergy Season – Are you ready? | Throttle Life! Allergy Season – Are you ready? Spring is just around the corner and allergy season will be knocking on the door. Are you ready? Allergy season usually spans from March to May when the trees begin to pollinate. However, during the summer, grass and weed pollen are present and autumn brings on ragweed and mold allergies. It’s safe to say that allergy season for the most part is year round! Over 50 million Americans suffer from allergies, and approximately 55 percent of all U.S. citizens test positive to one or more allergens. On a scale from one to ten, allergies rank fifth in the U.S. among other leading chronic diseases. The concept of “allergy” was originally introduced in 1906 by Clemens von Pirquet, a Viennese pediatrician, after he noted that some of his patients were hypersensitive to normally innocuous entities such as dust, pollen and certain foods. Years later, it was discovered that several different disease mechanisms were implicated, with the common link to a disordered activation of the immune system. An allergy is an abnormal response of the immune system. It is one of four forms of hypersensitivity and is formally called type I (or immediate) hypersensitivity, which is characterized as rapidly developing reactions. The substance that causes a reaction is called an allergen. Allergens may be inhaled, eaten or swallowed, applied to the skin or injected into the body either as a medication or inadvertently by an insect sting. The most common allergens include: dust mites, molds, pollens, animal dander, cockroaches, peanuts, milk, eggs, wheat, nuts, soy bean proteins, latex and penicillin. Airborne pollen and dust mites are the most common causes of allergies. And, the most common allergic diseases are: hay fever, asthma, eczema, food allergy and hives. Allergic diseases are often classified by the type of allergen or by the part of the body that is affected. Our immune system produces substances known as antibodies. These antibodies identify a particular foreign substance called “allergen”, generally harmless. However, exposure to the allergen will cause our immune system to react causing inflamed skin, sinuses, airways or digestive system. This is called an allergic reaction. At the onset, a series of events begin to take place: 1) the body starts to produce a specific type of antibody, called immunoglobulin E (IgE), to bind the allergen; 2) the antibodies attach to a form of mast blood cells which can be found in the airways, intestines and elsewhere and 3) allergens bind to the IgE antibody which causes the mast cells to release a variety of chemicals, mainly Histamine, into the blood. This chemical causes most of the symptoms of an allergic reaction. 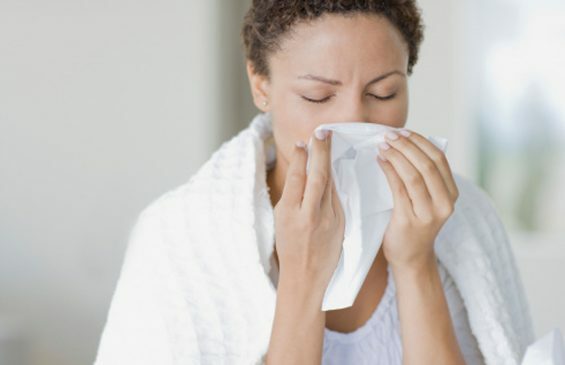 Understand that the severity of allergies varies from person to person and can range from minor irritation to anaphylaxis, a potentially life-threatening emergency. The symptoms of anaphylaxis are as follows: hives or itching all over the body, wheezing or shortness of breath, hoarseness or tightness in the throat and tingling in the hands, feet, lips or scalp. If you experience any of these symptoms, please seek medical attention immediately. In addition, here is a list of the most common symptoms of an allergic reaction: itchy/watery/swollen eyes, sneezing, itchy/stuffy/runny nose, skin rash/blisters or skin peeling, feeling tired/ill and hives. Different allergic reactions can be caused by other exposures such as food allergies (stomach cramps, vomiting or diarrhea), insect stings (swelling, redness and pain) and drug allergies (involves the entire body and can lead to a variety of symptoms). Everyone does not suffer with allergies. Our genetic makeup and environment both play a key role in developing allergic diseases. If you have a history of allergies, your child’s risk of developing allergies is 48%. And, if both parents have a history of allergies, the childâ€™s risk increases to 70%. There is no age limit on when allergic reactions can develop. However, the peak age of allergy development appears to be in the late teens. Allergy Testing – Determines if the symptoms that you are experiencing are an actual allergy or are caused by other problems. Skin Testing – The skin is pricked and a small amount of the suspected allergy-causing substance is placed on the skin. Again, the skin is slightly pricked around the area so that the substance moves under the skin. The skin is closely watched for signs of a reaction (swelling and redness), which usually occurs within 30 minutes. Blood Testing – This test is quick and simple and, can be ordered by a licensed health care provider. Unlike the skin prick testing, a blood test can be performed irrespective of age, skin condition, medication, symptom, disease activity or pregnancy. Multiple allergens can be detected with a single blood sample. Allergy Shots – Are most effective in treating allergic rhinitis (hay fever) symptoms and insect stings. Although, years of treatment may be needed, they work in most cases. However, allergy shots may cause uncomfortable side effects and dangerous outcomes. Because of the danger of a severe reaction, allergy shots are not used to treat food allergies. The following drugs are commonly used to block the action of allergic mediators, or to prevent activation of cells and degranulation processes: antihistamines, glucocorticoids, epinephrine (adrenaline), theophylline and cromolyn sodium. Anti-leukotrienes, such as Singulair or Accolate are FDA approved for treatment of allergic diseases. 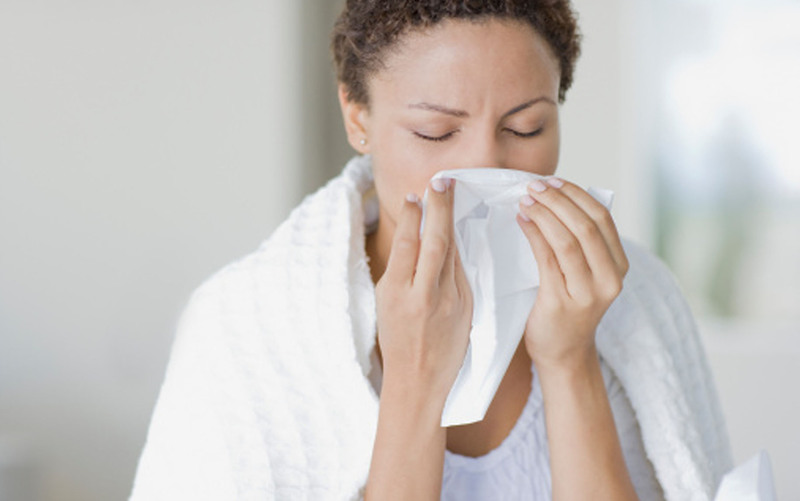 Allergies can be treated with medicine that alleviates symptoms. However, avoiding the allergen is the best method to treating allergies. Being diagnosed and educating yourself in avoiding allergy triggers is crucial. The more you know and understand the better you will cope. Let’s fight back against spring allergies! Keep track of what triggers your allergies and try to reduce your exposure to allergens all season long.